Climate change is now doing far more harm than marooning polar bears on melting chunks of ice—it is damaging the health of people around the world. 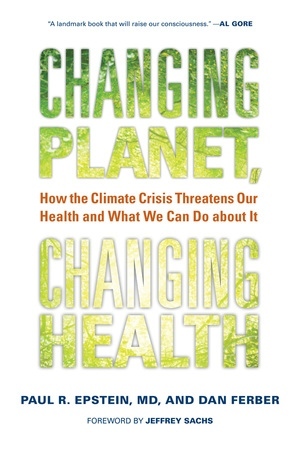 Brilliantly connecting stories of real people with cutting-edge scientific and medical information, Changing Planet, Changing Health brings us to places like Mozambique, Honduras, and the United States for an eye-opening on-the-ground investigation of how climate change is altering patterns of disease. 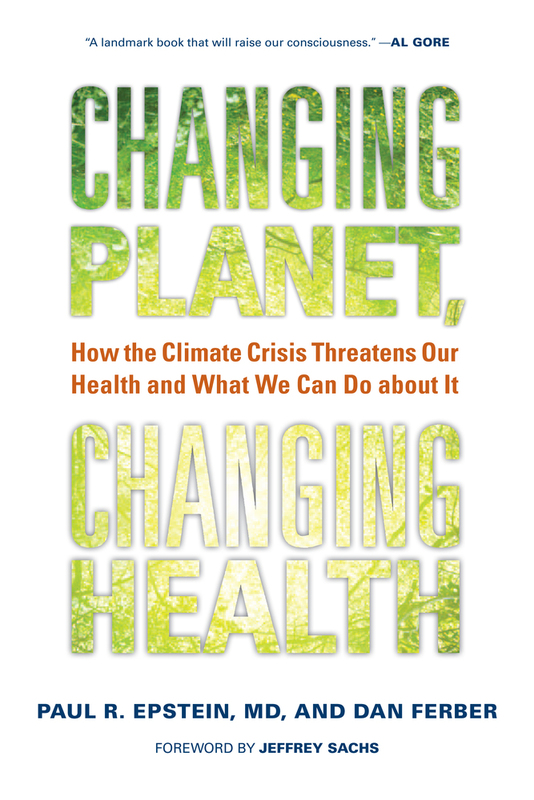 Written by a physician and world expert on climate and health and an award-winning science journalist, the book reveals the surprising links between global warming and cholera, malaria, lyme disease, asthma, and other health threats. In clear, accessible language, it also discusses topics including Climategate, cap-and-trade proposals, and the relationship between free markets and the climate crisis. Most importantly, Changing Planet, Changing Health delivers a suite of innovative solutions for shaping a healthy global economic order in the twenty-first century. Paul R. Epstein, MD, MPH, (1943–2011) was Associate Director of the Center for Health and Global Environment at Harvard Medical School and a medical doctor trained in tropical health. He contributed to the work of the Intergovernmental Panel on Climate Change, which was awarded the Nobel Peace Prize in 2007. Dan Ferber is a contributing correspondent for Science magazine. His feature articles have appeared in many publications, including Popular Science, Audubon, and Nature Conservancy.